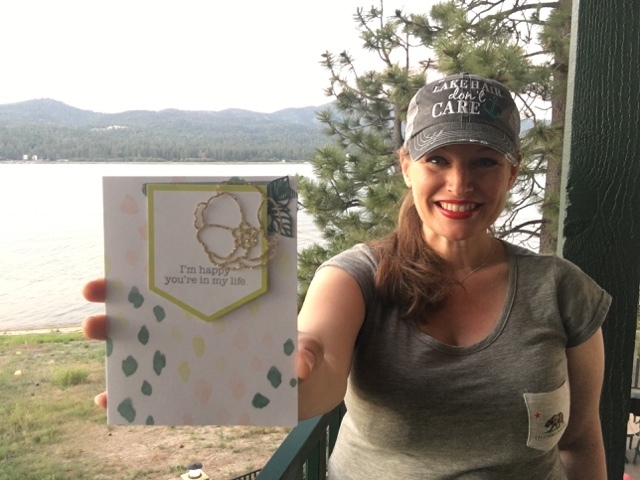 Getting Crafty with Jamie: Soft Sayings card making with a view! Soft Sayings card making with a view! I'm sooo glad you can join me up in Big Bear Lake, CA. Of course I brought some card making and crafting up with me on my vacation (lol). 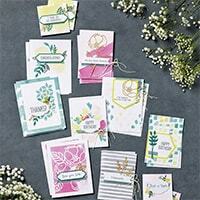 See this amazing, new and oh-so-pretty Soft Sayings card making kit and stamp set. 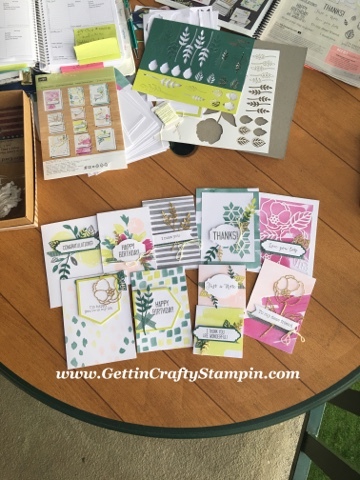 Join me in this video tutorial from our Facebook.com/GettinCraftyStampin LIVE with this great kit! Crafting with a view! 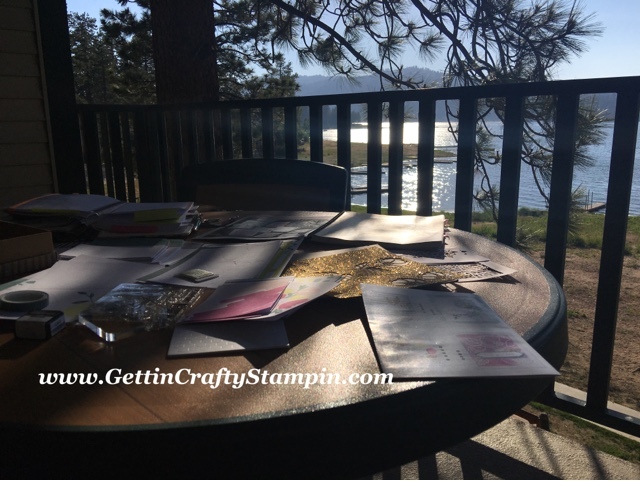 I can't wait for our upcoming Gettin' Crafty Stampin' Retreat at the lake (Sept 15-17, 2017). This is our home away from home. My crafting and card making business pays for our family vacations. This is my honor to bless my family with this fun. 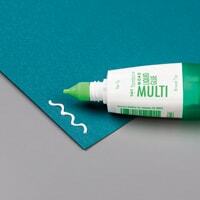 This oh-so-pretty hand made card came from our Soft Sayings All-Inclusive card making kit! It's wrapped up so pretty, too. 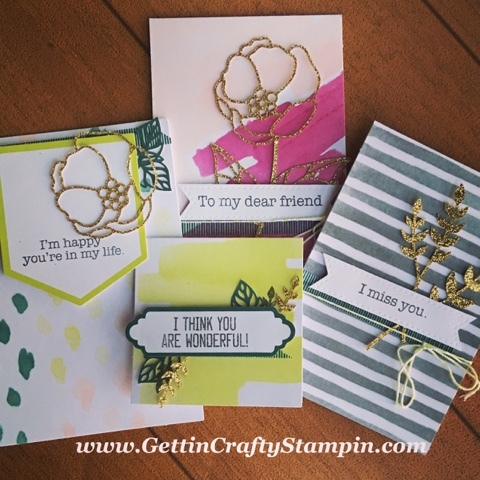 Created from our Facebook.com/GettinCraftyStampin/ LIVE class each Monday... this Soft Sayings hand made card is sure to celebrate a special day! 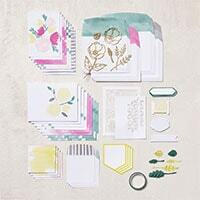 Wrapped up pretty, this is really a beautiful collection of hand made cards and it has a bonus Refill collection! Grab your own or have me bring you and your friends a great Private Class with this kit! 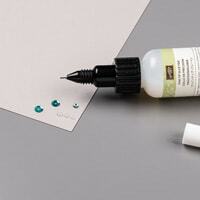 Join us at our upcoming card making and crafting classes to create and connect.